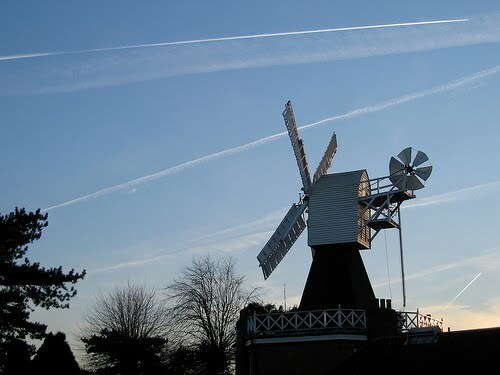 Built in 1817, the Windmill on Wimbledon Common was once a fully operational windmill. However, it only operated until 1864, when Earl Spencer, who owned the land, announced his intention to enclose Wimbledon Common and build himself a new manor house. The machinery was removed and it was converted to a home for six families. Whilst the mill underwent restoration as early as 1893, it wasn't until 1976 that it was opened to the public and now contains a museum about windmills and milling, and local history. Expanded in 1999, with the help of a Heritage Lottery Grant, it is open in the summer months on Saturdays from 2pm until 5pm, and on Sundays from 11am until 5pm. Entry is £2. Like most people I walked past the windmill a hundred times before I bothered to go in. It's fascinating, fun for children, worth a special trip, and it even sells Wombles! (And you can get a cup of tea next door). Finally going into places you've walked past a hundred times is what it's all about as far as I'm concerned Sam. Great to have your input!